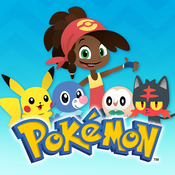 As the technological market has become more mainstream, various Pokémon-related Apps have been released for smartphones and tablets across the globe. Many of these apps have been free while others have cost. The first ever Pokémon app was released for a limited time from July 15th 2011 to September 30th on iOS, and August 11th 2011 to October 28th 2011 on Android platforms. 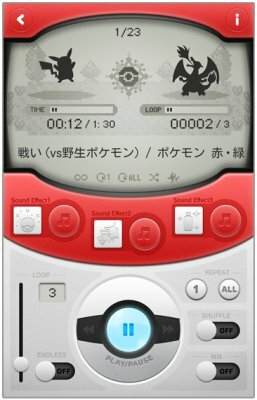 This app was a simple rhythm game that tied in with the ending to the Pokémon anime at the time, Can You Say the Pokémon? BW, which was essentially a song naming all the new Pokémon introduced in Pokémon Black & White. After the song ends and you have tapped all the Pokémon, you will be ranked based upon your timing. The game holds a high score table, which you can customise with an icon, in order to see how well you did. Pokédex for iOS was an app that was a simple database utility. 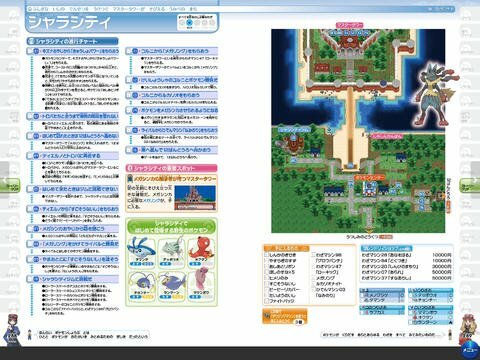 This database provided an in-depth Pokédex focused on Pokémon Black 2 & White 2, giving full details of the level up moves, Egg Moves, TM moves and locations of the Pokémon. 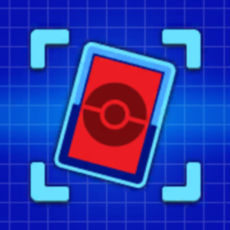 It also featured imagery of the Pokémon's 3D model, the same image used in the 3DS counterpart app, Pokédex 3D Pro. It also provided a platform for displaying QR codes which Pokédex 3D Pro could use for its Augmented Reality features. The initial app just contains the Pokémon introduced in Pokémon Black & White, from Snivy to Genesect, but allowed for the purchase of extra packs that included the rest of the Pokémon, separated by the generation. Once the pack was purchased, the Pokémon would appear in the Pokédex. The app went through two updates, to include the Pokémon Meloetta and Genesect respectively. Support for this app ended on November 31st 2015 where it was no longer downloadable, and the additional downloads were not able to be redownloaded. In the months that followed its launch, there were several Pokémon Black 2 & White 2 guides released in Japan. Following on from this, a special app was released which included all of these guides in one single app. This app acts as a book with various navigational options and the ability to zoom in. This guide also came with a special serial code that could be used on the Pokémon Global Link to receive a Level 33 Gothorita with its Hidden Ability of Shadow Tag and the rare move Imprison. It also came with a Serial Code that allowed for the download of a Focus Band into your Pokémon Black 2 & White 2 games. 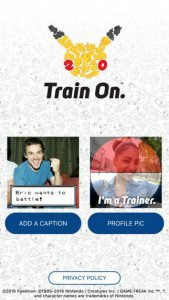 After several years being accessed on the Pokemon.com website, The Pokémon Company released a special app called Pokémon TV for iOS and Android platforms. This app provides various episodes for the user to watch absolutely free. The episodes that are on the app vary depending upon region, and rotate weekly. Typically they rotate in order, with around a dozen from each saga being available at any one time. However, there are occassions where special events or promotions cause new episodes or specifically focused episodes to appear. The app runs the English dub, as well as French, German, Italian and Spanish, depending upon the region store it was downloaded from. 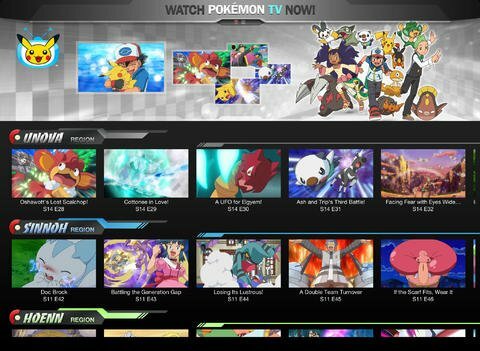 From Version 3, released in February 2019, users can now log in with their Pokémon Trainer Club account and can use the account system to stop watching on one device and start watching from the paused point on another device. This app is different to the previous one in that it begins being a barebones free version with decent information about the game, but has two in-app purchases that add to the guide, giving more information. Each of these expansions correspond to a specific guide book that was released in bookstores. 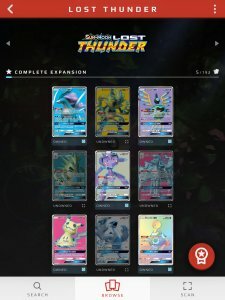 The Pokémon TCG Online app is an off-shoot of the Pokémon TCG Online game and provides an alternative to play the game using iPads. This game gives you the ability to play the Pokémon Trading Card Game online with other players. This includes matches as well as the ability to trade cards. There is also a single player option which allows you to play practice matches or play through the Trainer Challenge where you face off several Trading Card Game leagues and battle against numerous NPCs. The game has various levels of customisation for your own specific character, allowing for full personalisation. 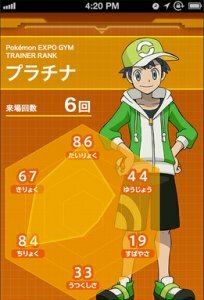 To get more cards in the game, you have to either earn Trainer Tokens in the game to purchase new booster packs and theme decks. Alternatively, you can use special codes that are given within the booster packs and theme decks in real life. Finally, exclusive to the iPad app, you can purchase gems using real money in order to exchange them for booster packs and theme decks. The game can be played in English, French, German, Spanish, Italian, Portuguese and Russian. 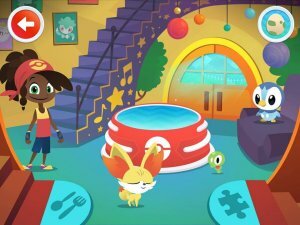 The Camp Pokémon app is a unique free app that includes several mini-games & quizzes within it aimed at children aged 6 to 8. These games test the knowledge of Pokémon that the player has and help build the knowledge. Find the Pokémon: You hunt for a specific Pokémon by searching the various areas with the touch screen. If you find a Pokémon, you zoom into it and have to obtain it by hovering over it for a short time. There are three stages: Grass, Rock & Water, each with their own Pokémon, with each stage unlocked by getting Gold on the previous one. If you get a specific full evolution chain in pins, then the Mystery Cave will unlock. Enter the cave and you'll get a special pin for the Mega Evolution. 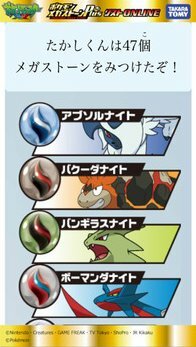 This exists for Mega Venusaur, Mega Blastoise, Mega Gengar, Mega Aggron, Mega Metagross, Mega Sceptile, Mega Swampert and Mega Blaziken. The game also has various other features within it for gameplay. These don't add to your Pin count, but provide knowledge for Pokémon. 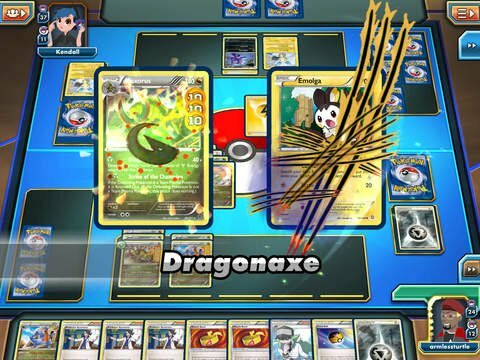 On August 6th 2015, an update came to the game which added another game where you matched TCG cards together by the same card, evolution chain and so forth, as well as addiing more pins to collect. Pokémon Evolutions: You are shown an evolution chain of three Pokémon behind doors. As the doors partially open up, you have to seleect between three different Pokémon to select one that is in the evolution chain. Battle Matchups: You have to select a Pokémon that is good against the Pokémon in question in battles in the main games. This is done based upon their in-game type. You can select between three different Pokémon. Pokémon in Focus: Choose the Pokémon that matches the shadow projected on the tent. The shadow starts off blurry, but becomes clearer as time progresses. The more Pokémon you get in the time limit, the better your score. 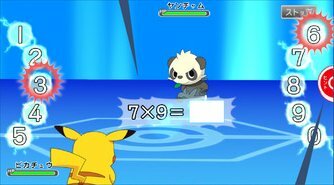 The game also provides access to the Pokémon TV app, Pokémon Trading Card Game Online app, and the Pokémon Omega Ruby & Alpha Sapphire site, but recommends a parent take oveer then by providing a lock where you have to answer a large multiplication problem. This game comes in English, French, German, Spanish and Italian. In the months that followed its launch, there were several Pokémon Omega Ruby & Alpha guides released in Japan. Coinciding with this on from this, a special app was released which included all of these guides in one single app. This app acts as a book with various navigational options and the ability to zoom in. 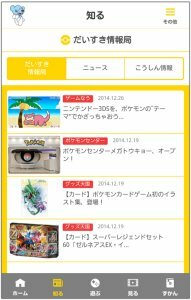 This app allows for syncing with the Pokémon Daisuki Club website, acting as a portal, and provides news feeds of the latest Pokémon news as well as access to games and your own trainer card using your Daisuki Club account. This free app gives you special wallpapers and icons for your phone and comes with updates on the second and fourth week of each month on Thursdays. The designs it gives range from Free to 200¥. 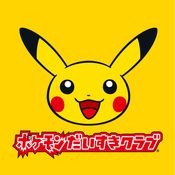 It currently has a Pikachu design available for free and has designs based on merchandise at the Pokémon Center. The app was removed on February 29th 2016, and all purchased styles were no longer downloadable. This app lets you translate from English to Japanese. 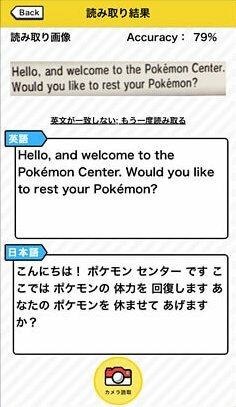 It contains many simple Pokémon phrases for you to check but also has a feature that lets you take a photo of a Nintendo 3DS screen playing Pokémon X & Y in English and will give you the translation from English to Japanese. It does not work with Pokémon Omega Ruby & Alpha Sapphire. Support for this app ended on November 31st 2015. This app allows for you to purchase Pokémon music from the games from Pokémon Red & Green onwards. This app is free with three tracks but can have additional tracks purchased for 120¥ a piece. You can play them as much as you want, loop them and it has its own interface that looks like a classic Pokédex. It also allows you to put in sound effects of PokéBalls, Pokémon cries or item use during the play of music. You can also have the music run endlessly and purchase special medleys of various tracks. 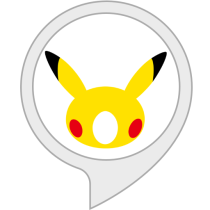 It has two language options of English (Pokémon Jukebox), or Japanese (Pokémon Music Pokédex). As of May 7th 2015, it only has access to the Pokémon Red & Green, FireRed & LeafGreen and HeartGold & SoulSilver tracks, but more will be added each month. The app was removed from the Google Play Store on May 31st 2016, and redownloads of purchased content was no longer possible after June 30th 2016. 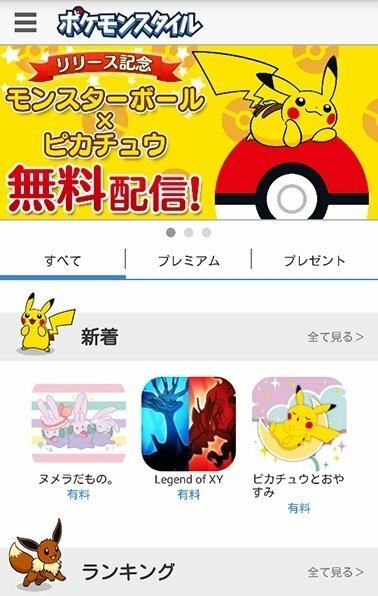 To coincide with the release of the movie, Hoopa & The Clash of Ages, a free app is being released in Japan on iOS and Android. This app is called Dance? Pokémon Band!. 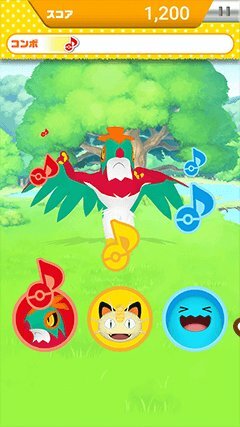 This app is a rhythm game and has you play using various Pokémon dancing to the beat of the main theme to the upcoming movie and current ending theme, Gaogao All Stars by Little Glee Monster. To play, you tap the notes as and when they come over a Pokémon's head. There are multiple modes to this game and as you go through and collect berries by hitting the buttons in perfect rhythm, and then you can use them to call Hoopa. Hoopa will then use a portal to unlock more Pokémon. 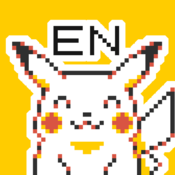 It starts with Hawlucha, Pancham, Pikachu & Chespin, but more will be added as time goes by. On July 23rd, a new update came which added the song Getto Banban, the opening to the anime, to the game. This app was no longer downloadable from September 30th 2015 and was no longer able to be played after October 29th 2015. 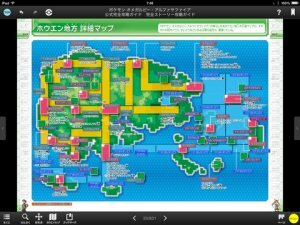 Pokémon Mega Stone Plus+ List Online! 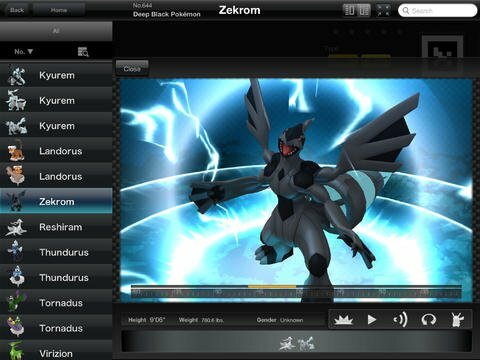 Pokémon Photo Booth allows you to take and edit photos to add various Pokémon images, captions and overlays to your photos. These overlays and captions are all set, but can be altered to include your name and various other captions. Pokémon Duek is a board game loosely based on the Pokémon Trading Figure Game. With this game, you have to collect various figures in order to create an offence and defence in matches against the computer or even other players locally. To attack, you spin a wheel and if your attack is more powerful then you attack the opponent and move their piece. Pokémon GO is an augmented reality app coming in 2016. 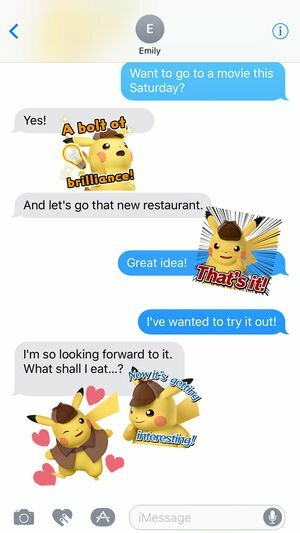 This game uses geographic location for you to find and capture Pokémon. You can then battle other players, trade with other players and even participate in raids against Pokémon. It interacts with a special Pokémon Go Plus accessory, which connects to your device via bluetooth which alerts you to nearby Pokémon. This app on the App Store is not entirely a standalone app but in fact is an add-on to Apple's iMessage app. 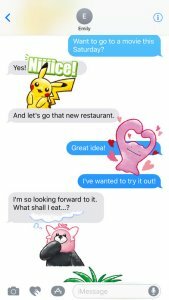 This app provides various stickers that can be sent to other people over iMessage. They can even be attached to the text for cute poses. There are two variations of the app; One is in English with English captions, the other is in Japanese with Japanese captions. They are sold separately. This app on the App Store is not entirely a standalone app but in fact is an add-on to Apple's iMessage app. 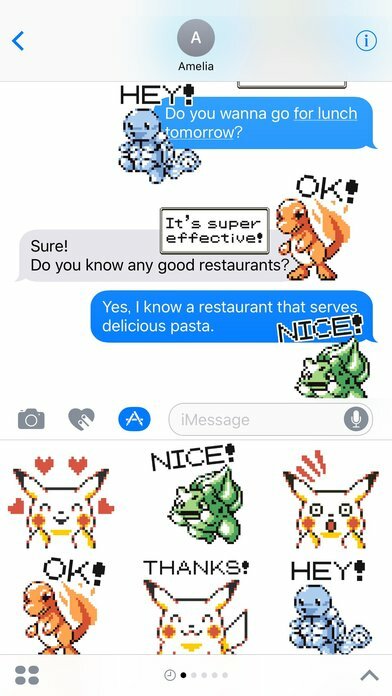 This app provides various stickers that can be sent to other people over iMessage. They can even be attached to the text for cute poses. 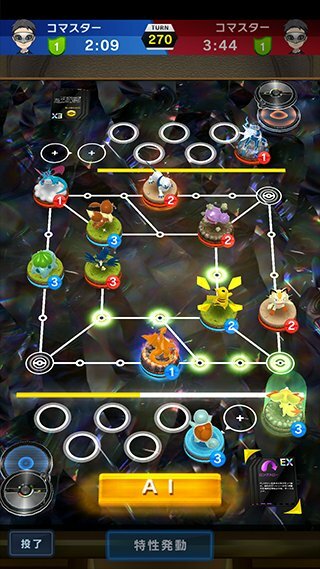 Puzzles - Move the Pokémon over to their silhouette in the image to complete a puzzle. Flashlight Tag - Search for all the Pokémon in the forest. The Pokémon findable in this mini-game are random each time you play. The Playground is an outside area where you can select 6 of your Pokémon and watch them play. In the Lounge, you can feed Pokémon berries as well as clean the Pokémon. Pokémon will show a thought bubble when they need cleaning to help you determine which tool to clean them with. 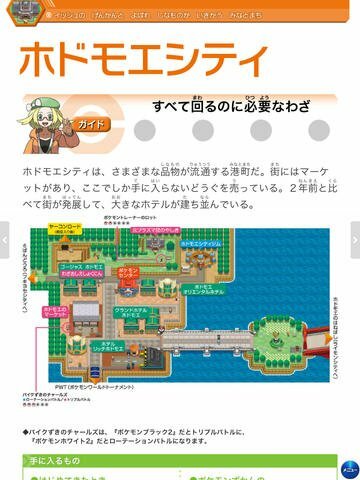 In the Tower, yuou can look through the telescope to see the stars and see constellations made of the Pokémon. Tapping them will colour them in. There's also a special Pokémon Tunes area where you can make music with your Pokémon. It also reacts with various different emotions such as happy laughter, sadness and anger. 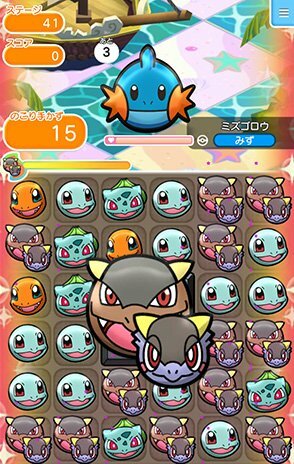 PokéLand is the continuation of the Pokémon Rumble series and has you control Toy Pokémon through various stages to collect and defeat more Toy Pokémon. Control is automatic with having to tap for attacks and targetting. Pokémon Quest is an Action RPG for Nintendo Switch and mobile devices where you send an expedition of 3 Pokémon out through stages to collect loot and defeat other Pokémon. 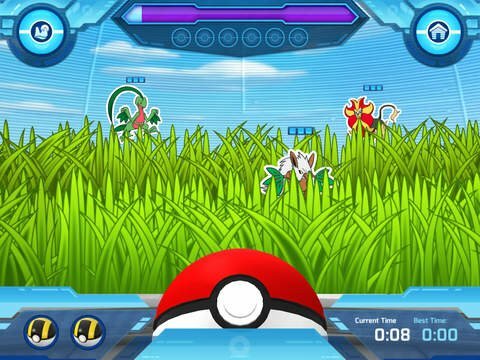 It is controlled using a touchscreen with no direct control over your Pokémon. 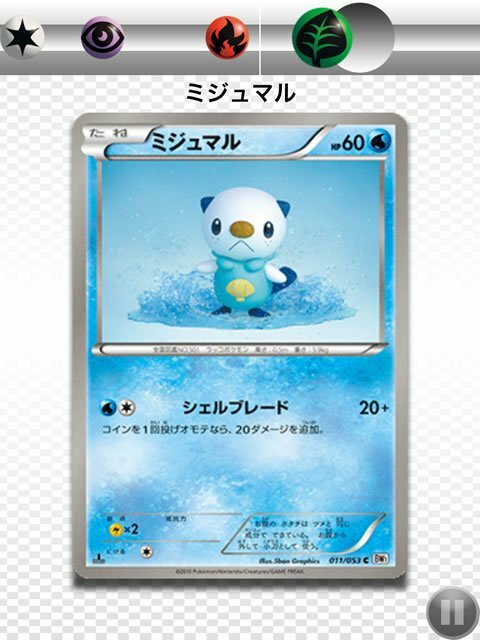 It also includes a feature where you can scan in your Pokémon Trading Card Game cards and have them added to your collection. This can work if a card is in a sleeve or folder, but does struggle to scan them as quick as it does when they're out of the sleeve.